who's the fob now? : June 17; Happy Father's Day Papa John! In celebration of that hallmark holiday called Father's Day, the girls decided to treat our papa to Pyro's Pizza. It slowly became a routine that late night Saturdays would often be followed by all you can eat pizza on Pyro Sundays, even in the absence of half-birthdays. It was a routine that I was warming up to and starting to love. 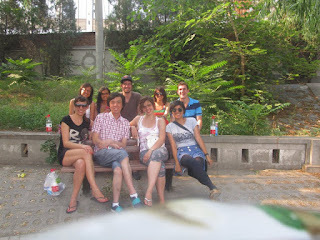 With our stomachs full of food, we went to Chaoyang Park for a picnic. We started to make our way to the park when we realized we turned too soon. So we sat in the shade and took pictures and ate food. We eventually made our way to the park. We were all pretty stuffed, hot, and tired so lying on the grass beside the lake in the shade was the most fitting "activity". There was a mini amusement park inside but the rides were either closed from the day or broken. We met with our friend Jeff for dinner at one of my personal favourite restaurants in Beijing, Annie's. 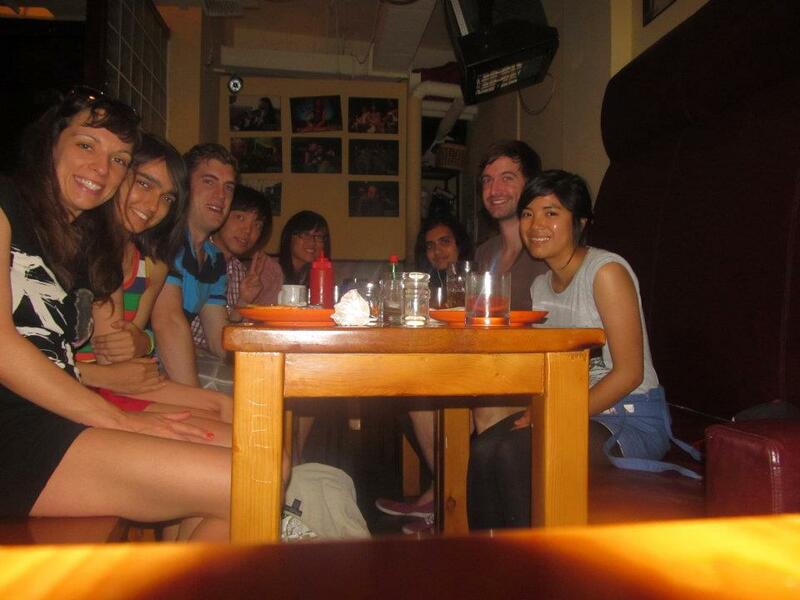 And there ended my final food filled weekend in Beijing.